Automobiles are usually among the biggest investments one can make. Unfortunately, far too many people are leaving them exposed to weather elements for long periods of time. This can result in damage and loss of resale value. Although carports offer a more open-style structure, usually with a roof and sometimes sides, they still protect your vehicle from weather elements like rain, harmful sun rays, and snow. There are even carports built with strong steel materials to withstand harsh weather. Carports offer tremendous flexibility in location, and are usually located close to the house. This can be a great feature for those living alone as it’s easier for them to pull up and into the carport. Plus, parking closer to the front door of the house is safer than parking on the street. A carport can be a multi-use structure. Besides vehicle storage, they provide a great shade solution for several different needs. For instance, they can provide shade for children playing outdoors in hot, sunny weather. They can also be used as an outdoor workspace, a DIY pavilion, or to provide shelter over your deck and patio. A typical carport provides vehicle storage and other shading solutions, but with advancements in technology, you can now install solar carports that will do all that and also offer the uses of ground-mounted solar panels like saving on energy among other things. 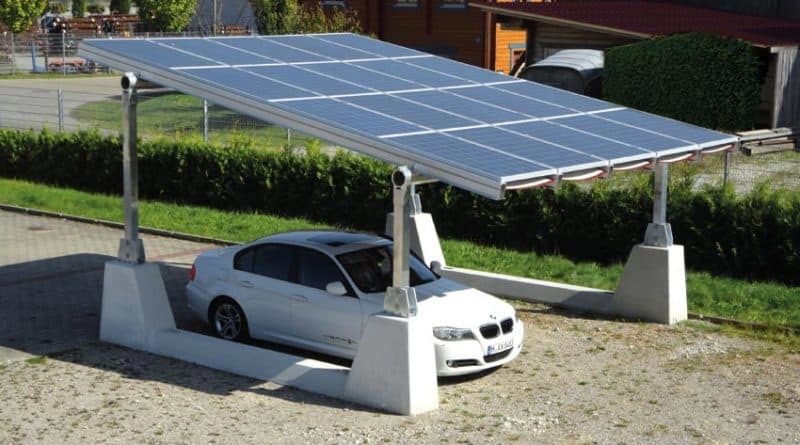 Check out https://www.bajacarports.com/solar-carports/ for some great options. It’s true that garages can be locked to protect automobiles against human attacks like burglary or vandalism. However, your vehicle is far more visible in a carport than in a garage. Thus, such perpetrators are less inclined to enter your carport for fear of being sported easily. In other words, your vehicle is far safer from random attacks in a visible open-structure than in an enclosed garage where someone could sneak in quietly and steal or damage it. Most carports are in open areas and don’t have doors. Ultimately, the risk of hitting something and causing damage to your car or even the structure itself is minimal. Accidents can happen due to fog, snow, heavy rains, or poor visibility at night, and a garage will do more damage to the car than a carport. This makes carports an easier storage option to slide your vehicle into. In addition, the lack of doors can be quite convenient when you have grocery bags and other stuff you need to carry inside.